I am back again for post #2. I know, what am I thinking, two posts in one day. heehee. 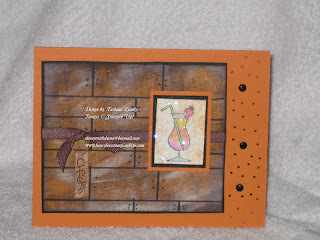 I just love this wood grain so much that I had to make another card using it as background. This is going to be a birthday card. I encourage leaving comments. It only makes me want to create even more.